The great Stan Lee passed away on November 12, 2018. With his passing he without-a-doubt left a lasting legacy on Marvel and the entire superhero genre. Let’s take a moment to reflect and remember his life and accomplishments. Stanley Martin Lieber was born on December 28, 1922 in New York City. Stan Lee was a first generation American who hustled from a very early age. Throughout his youth he took many odd jobs that eventually forged his career path such as writing obituaries and press releases and as an office assistant in a Broadway theater. In high school he won a weekly newspaper-sponsored writing contest three weeks in a row, leading to the newspaper to suggesting he look into writing professionally. In 1939 he became an assistant at the newly formed Timely Comics. He started off with simple jobs such as keeping the inkwells filled, erasing pencil from the finished product and proofreading. But in 1941, he wrote the filler for “Captain America Foils the Traitor’s Revenge” in Captain America Comics #3 under the name Stan Lee. Just two issues later, Stan Lee was promoted from text filler to comics writer, where he began co-creating Marvel characters such as Destroyer, Jack Frost and Father Time. Later that year, after Simon and Kirby had a falling out with Goodman, Goodman promoted Stan Lee, only 19-years old at the time, to interim editor. While Stan Lee served in World War II, he continued to contribute to Timely Comics as well as hone his writing skill on other projects. Eventually, Timely Comics became Atlas Comics and then Marvel Comics. In the 1960s, Stan Lee and Marvel Comics expanded names we know today such as Spider-Man and Fantastic Four. 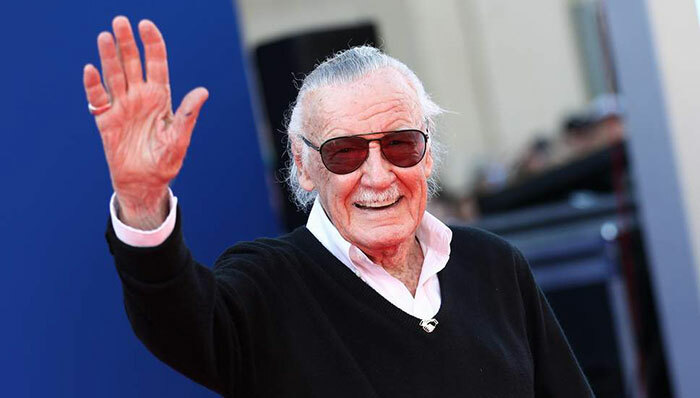 Not only did Stan Lee revolutionize plots, characters and storylines within the Marvel universe, he brought the overall community closer together, which laid the groundwork for the fanfare and massive Marvel franchise we know and love today. “Deadpool and Venom are the only two Marvel characters created in the last 40 years to have been featured in a Marvel movie. That should illustrate how hard it is to create a character,” Brian Schutzer, owner of Sparkle City Comics, told CNBC. And Stan Lee did that over and over again the prime of his career. That says a lot. Stan Lee continued to stay active with Marvel and the industry well into the 2000s. His presence and genius will certainly be missed.